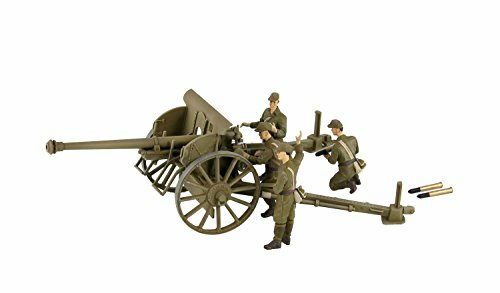 Product commentary * Japan as a successor to the 38-type field gun that has been used for a long time in the Army infantry Unit, it is a nine ○-type field gun that has been developed in reference to the design of the France Schneider company. From the height of its performance during the war, it was used in each theater in the Chinese continent. In addition, because it was also effective as an anti-tank gun, a set gun tank is the first self-propelled artillery of the Army Japan mounted on the chassis of the Panzer 97 type of the tank has also been produced. Gun carriage of the open leg can be movable. With three rounds of artillery Figure 4 body and 75mm ammunition at the time of shooting. This product is a new price re-production. If you have any questions about this product by Pit Road, contact us by completing and submitting the form below. If you are looking for a specif part number, please include it with your message.